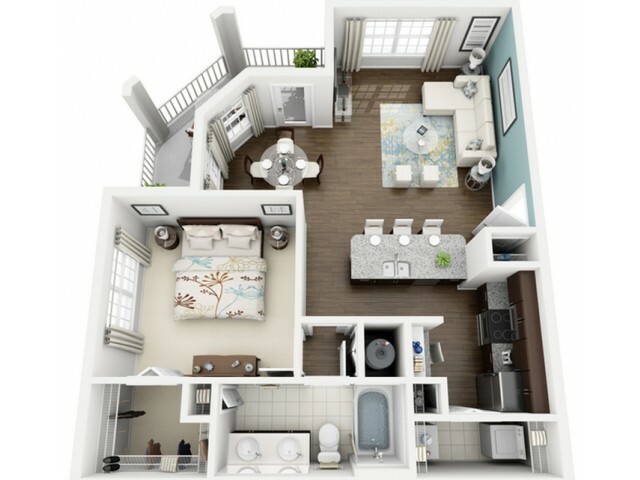 Welcome to your chic one-bedroom apartment home! Spacious does not even begin to define this floor plan with the over-sized living room space, built-in desk, walk-in closet, double sinks, plenty of cabinets and a wrap-around porch, we're sure you'll have enough space for everything you have and more! Living Room: 13'4" x 17'5"
Dining Room: 7'4" x 8'8"